Cleaning the gutters and downspouts of your house just comes with the territory of owning a home, but it doesn’t have to be a big chore. 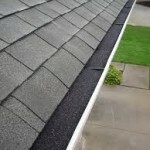 Although it’s not the most fun task, it isn’t that difficult, doesn’t take that long, and will help prevent damage to your roof and the eaves themselves. Plus, it helps make your house look nicer. rots the wood of your roof, trim and siding, and water can even get into your house, which we all know is not good. Downspouts that are clogged in fall and not cleaned before the snow falls can become a problem. During warm winter days or the spring when the snow melts, if the melt water cannot go down the drain, tis can cause a big ice lip to build up at the edge or your roof that not only prevents snow from sliding off your roof, but it also puts a massive amount of weight on your roof. 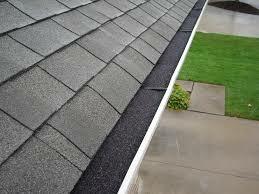 This can lead to a damaged roof or even a collapsed roof. Even if the roof eaves of your house don’t get clogged or overflow each season, it’s just not a good idea to leave decaying debris in your gutters, as it’s an invitation to mosquitoes and carpenter ants. So no matter how busy or lazy you feel, the little effort it takes to clean your gutters can save you lots of headache and damage costs. It’s definitely worth the effort, and not worth the consequences if you don’t do it. So let’s get to it. If your home is more than one story, you may need an extension ladder. But even if your house is only one story, you could get seriously hurt if you fall. So no matter how many stories you have, make sure your ladder is stable. Either use a stabilizer, or make sure you’re on level ground, or both. Figure out how you’re going to get your trash bag or bucket down before you start. It will be heavy and awkward, but if you can hand it to someone, or lower it with a rope if you’re doing this job solo, you’ll want to have this planned out before you start. Don’t wait until you’re umpteen feet above the ground, on the roof, balancing a heavy bag, wondering what to do with it. Gloves don’t just help keep your hands and nails clean, but they can protect your hand from sharp objects. Leather ones will protect your hands better than cloth, as well as keep them cleaner. Make sure they’re the right size so you can do this job safely and properly. After you have all your tools in place, it’s best to start where the downspouts are, which is typically at the corners, but not always. 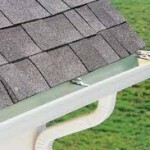 Start at the downspouts so you can avoid pushing debris down the downspout and further clogging it, by simply pushing debris away from the drain hole as you clean the gutters. bucket rather than a bag, unless you use an extra sturdy bag. Wet stuff is heavier than dry stuff, so you may not want to fill the bag all the way up. After all the larger debris is removed, rinse the gutter with your garden hose, spraying toward the direction of the nearest downspout. You will need to clear any downspouts that may be clogged. 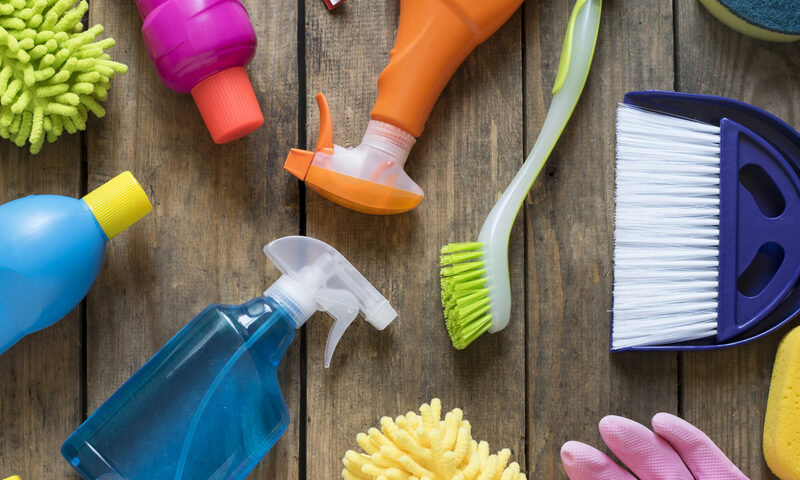 If you start by spraying water down the spout from the top, you may just compact the clog so it gets lodged in tighter and becomes harder to budge. The best way is to start at the bottom of the drain spout and shoot some water up so it hits the bottom of the clog by using the spray nozzle of your hose at the highest pressure setting. Then get on the roof and shoot water down the pipe from the top. If it’s a loose clog, this should clear it up. If this still doesn’t clear it up, you can use a plumber’s snake, or if the clog is near the top, any type of long pole, like the end of a rake, will do. Collect the clog at the bottom of the spout after it comes out and put it in your debris receptacle. Follow all the above procedures for all your gutters and downspouts of your home, garage, or any outbuildings you have that have gutters. And finally, dispose of all the debris you’ve collected by putting it in the trash, or more preferably, a compost pile. You may already have your own compost pile, or can start one, or often your local city offices can tell you where a free community compost trash receiving site is located. And that’s How to Clean House Gutters Quickly and Easily! And now you can sit back and relax as you pat yourself on the back for taking care of business and keeping your property well taken care of. It’s okay to admire your own work, because not only do you now have clean gutters, but also peace of mind. Use a stand-off or stabilizer, which not only keeps your ladder stable, but it also keeps your ladder from resting on, and thus possibly damaging or denting your gutters. 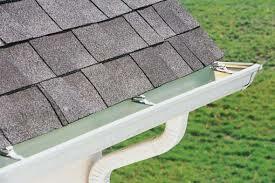 Inspect the gutters and downspouts now for any signs of damage. Look for holes, dents, or cracks. If you discover any signs of damage, repair them as soon as possible. It’s best to clean the eaves and gutter spouts of in late spring or after nearby trees have finished shedding their leaves in the fall. If there copious amounts of trees or rain in your area, you should probably check your gutters more often. Install leaf strainers inside the eave near the drain hole to prevent leaves from going down, and possibly clogging, your downspout. You may want to consider installing guards that prevent the debris from sliding off your roof into your gutter in the first place. They won’t stop all falling leaves and branches from landing in your gutter, but can make your biannual gutter cleaning much more easy in the future. Your local city yard refuse disposal site is also a great place to get free compost for your garden in the spring.